But the Masoretes weren’t only concerned with settling pronunciation and meaning; their Masoretic text was also supposed to help prevent copying mistakes by providing additional information in the margins. In particular, their commentaries contain statistical data on how often words appear in a particular way. Over time, these arrangements developed into true art. Such ornamental-figurative micrographs are not merely shown in this exhibition, but generated using multimedia technology. The micrographic text of the masora figurata is mostly shaped into zoomorphic (later also anthropomorphic) figures (dogs, horses, rabbits, gazelles, birds, dragons or other fantastic animals), or arranged into floral shapes. At first glance, they call to mind the drolleries that appear as ornamentation in Gothic manuscripts, in architecture and sculpture. These drolleries are simultaneously concrete and abstract; they strike the viewer as hideous and demoniacal. The drawings are constrained by their being constructed out of letters, but are nonetheless often able to convey an impressive sense of motion: animals jump or writhe, interlaced patterns lead up- or downwards or appear to twine around themselves. Examples from various medieval manuscripts of the Jewish Bible will be on display until the end of October. On July 10th, 2017, the multimedia exhibition »GALGAL. 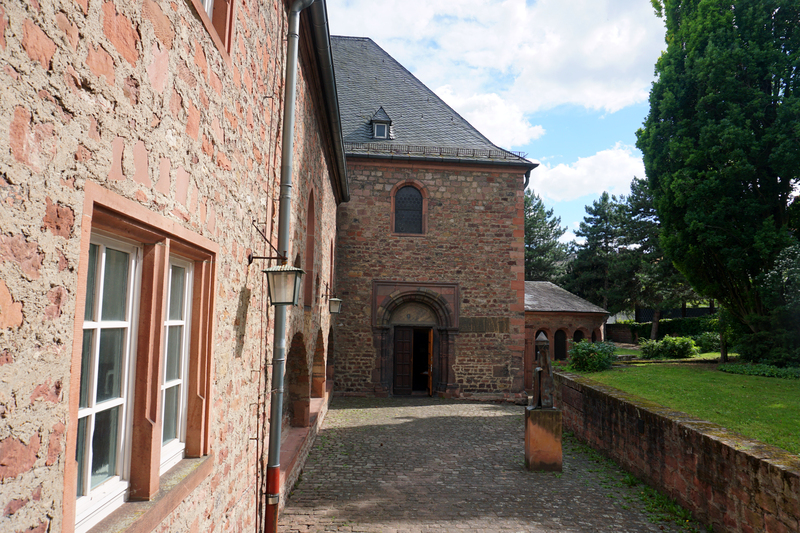 Elements of Creation in Motion« will launch in the synagogue of Worms. Until October 31st, 2017, this exhibition will let the public enjoy select micrographic images taken from Western European Bible manuscripts from the 12th-14th centuries. 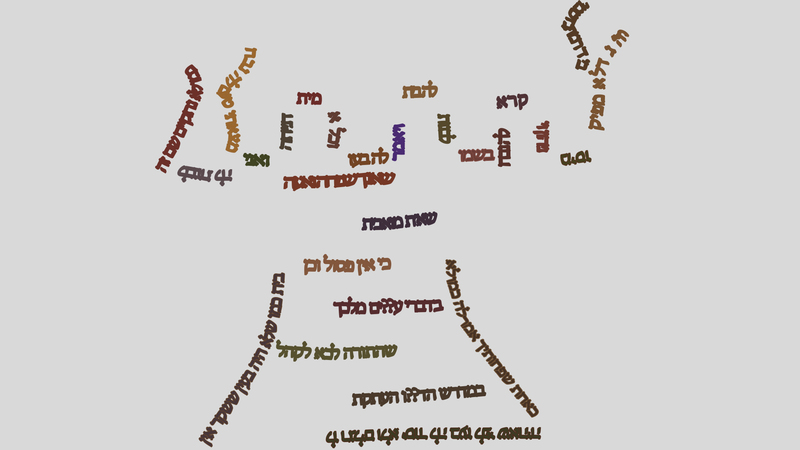 With the help of computer animation and projectors to "throw" the resulting images against the walls of the synagogue, the Jewish Bible is placed in its Jewish-cultic context in an unexpected way. Jewish (manuscript) culture will be given a new voice to express itself and approach and move the visitor. 21st century technology lets visitors experience a forgotten world of the Jewish Middle Ages. 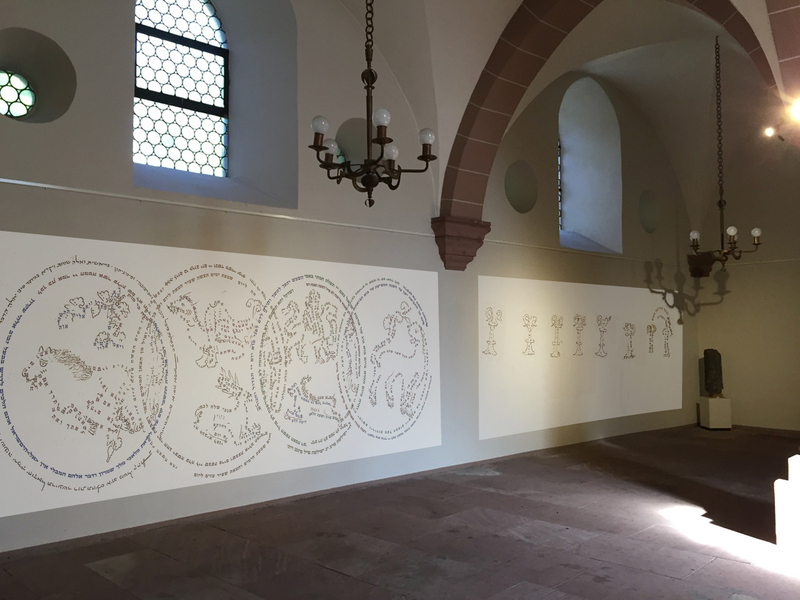 The exhibition was developed by the Chair for Bible and Jewish Bible Exegesis, currently held by Prof. Dr. Hanna Liss (Center for Jewish Studies Heidelberg / University of Heidelberg), as a sub-project of the University of Heidelberg’s Collaborative Research Centre 933, in cooperation with Berlin artist Prof. Eckhard Westermeier. 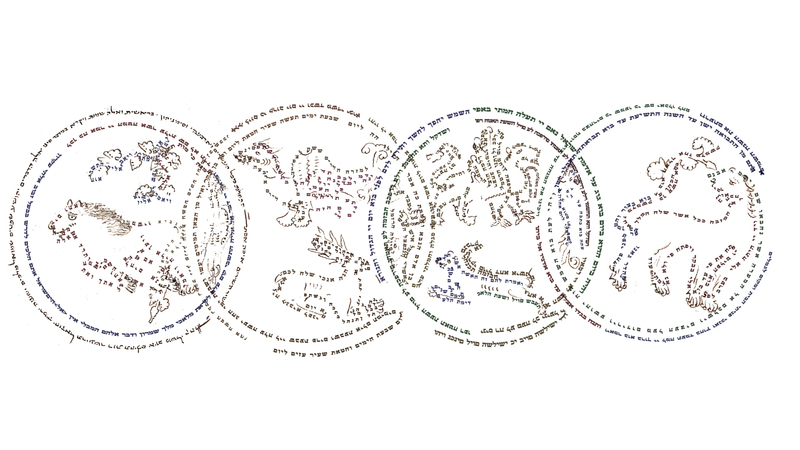 The micrographic images (masora figurata) that are showcased in this program originate with Jewish Hebrew manuscripts from the Middle Ages. Masora is first and foremost a commentary on the biblical text, written in the margins. In antiquity, the biblical text was transmitted in purely consonantal form, and it was only in the Middle Ages that the Masoretes, as they were known, established a system of signs to indicate vowels, emphasis and cantillation. whether you donate 0,99$, 2,99$, 4,99$, 9,99$, 99,99$ or another amount. Many Tanks for your Support! Please click on the downloadable files to the right. © Fotos, Graphics and Videos: Prof. Eckhard Westermeier / Jonas Leipziger M.A. / Clemens Liedtke M.A.